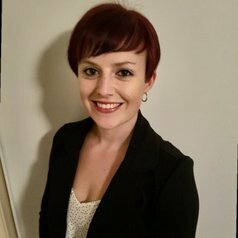 Dr Larisa McLoughlin is a Postdoctoral Research Fellow at the Sunshine Coast Mind and Neuroscience Thompson Institute, working on Youth Mental Health. Larisa has over 7 years experience conducting research through 3 postgraduate qualifications (Honours, Masters, and Doctorate) and her previous work for ConNetica Consulting. Her passion is youth mental health and cyberbullying. Larisa's postgraduate work focused primarily on cyberbullying, namely the mental health outcomes associated with it, as well help seeking and coping behaviours of young people. Her PhD was under a scholarship by the Young and Well Cooperative Research Centre, and Larisa was a key team member for the Safe and Well Online Study at UniSA, lead by Associate Professor Barbara Spears.